THE disappointment of missing out on a roast chicken was followed by a nice surprise for one Adelaide shopper who discovered a free way to get her hands on a hot chook. The woman photographed a sticker accompanying the empty cabinet promising a free hot chicken if the supermarket giant had none available. 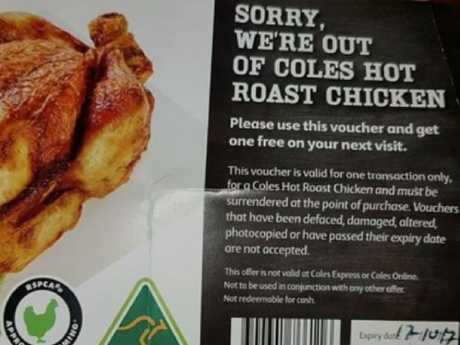 "If you've missed out on a Coles hot roast chicken from 11am to close, your next one is free," the sticker read. Want full access to the best local, state and national news? Get a digital subscription for just $1 for 28 days with no lock-in contract. The punter shared a photo of the deal on Facebook, but other shoppers said the deal wasn't available at all stores. "Only if the store displays this sticker. If it doesn't they don't follow this policy. Not all Coles do it," one Facebook user said. "My local in Perth didn't have any the other evening," said another person. The only thing better than lots of hot chooks is free hot chooks. 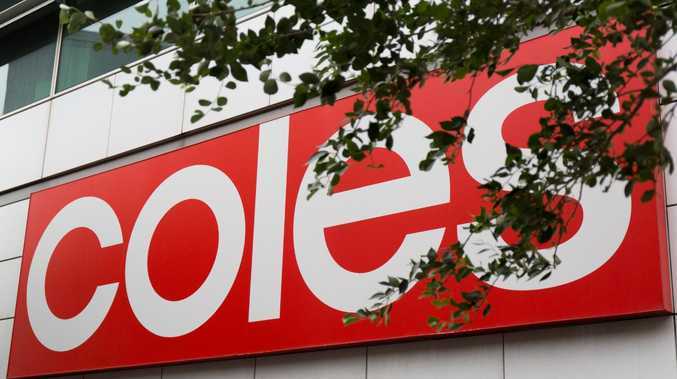 A Coles spokesperson confirmed the deal to news.com.au, but also said it wasn't available in all stores. "Our Coles hot roast chicken is one of our most popular items and we want to have them available at the times that our customers want them most," the spokesperson said. "The offer is only available in select stores and times vary by location." It's not the first time the deal has been spotted. One person shared evidence of it back in 2017. 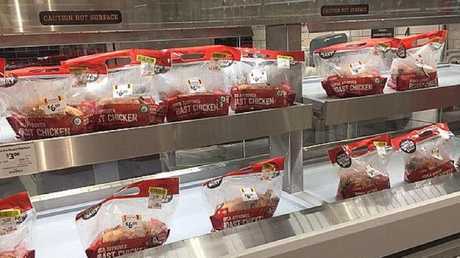 Does your local Coles reward its shoppers for a hunger for hot chicken?